Plot Summary: In this air-disaster send up, an ex-navy pilot is forced to take control of a plane after the entire crew is knocked out by food poisoning. 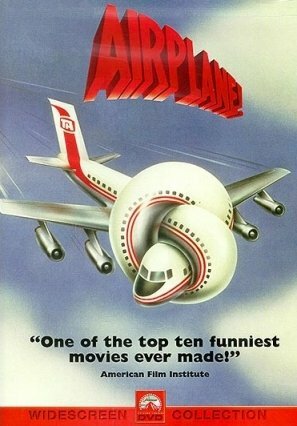 Comments: This is the first of two movies which parody the seventies air disaster flicks. This film gets it just right. Disaster lovers will love it! Special Effects: The special effects are purposely quite poor. However the scene at the start in which the airplane drives into the glass terminal is very realistic and quite impressive.